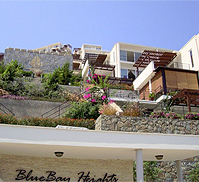 Paul also stresses that he is happy to introduce you to the existing owners of holiday apartments in his developments in Yalikavak who are more than happy to talk to any potential purchasers to offer advice. When you buy a Holiday Apartment from OEC Developments you are not buying on the hope that the property may turn out as it looks on the plans, OEC do not offer off-plan properties, you can view the completed property and compare to others in the area and then get an independent valuation. OEC regularly get up to date valuations. OEC also introduce you to our management agent in Yalikavak who arranges Letting, Furniture Packages for your apartment, Car Hire and Airport transfers. Buying an off plan property hoping it will turn out as planned. All OEC properties are completed. Buying cheap property....remember with property there is always a reason for being cheap, remember the three golden rules...location, All OEC properties are in stunning locations with sea views close to all amenities. Buying property with title problems. OEC buys all its land freehold from the Government, with clean title. Buying property with no after sales service. OEC offers a full after sales service through a local agent Jade Estates who offer a furniture pack, letting service, management and tax advice all though English. Waiting too long and missing the best holiday apartments with the best sea views. 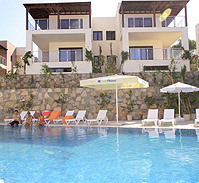 Make your decision now to book the best holiday apartment available, remember these will always hold their value. © OEC Developments Ltd 2019. All Rights Reserved.